I really should do a post ranking chicken strips from all major grocery stores (one of my lesser known areas of expertise), but, first, I will do something far more respectable and review the chicken strips at Fort George. 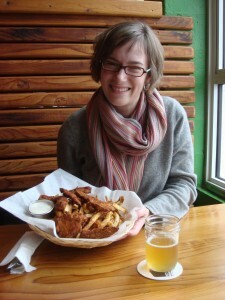 The chicken strips at Fort George are formidable. They are only on the menu one day a week, and our friendly server noted that everyone comes in on Tuesdays just for the strips. Not sure if “everyone” is more discerning than me, but when it comes to chicken strips, it is definitely a possibility. So, even if you don’t trust me. Trust “everyone.” Those strips are good. And, the Quick Wit is a delicious accompaniment. 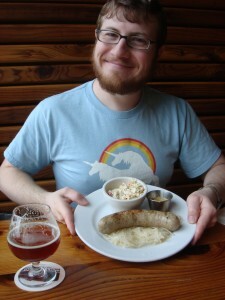 Michael was a little more creative and ordered the bockwurst, which paired excellently with his seasonal ale. I can attest that he enjoyed both. I did not get an opportunity to try the bockwurst, but I trust his opinion. He doesn’t just indiscriminately like all bockwurst. 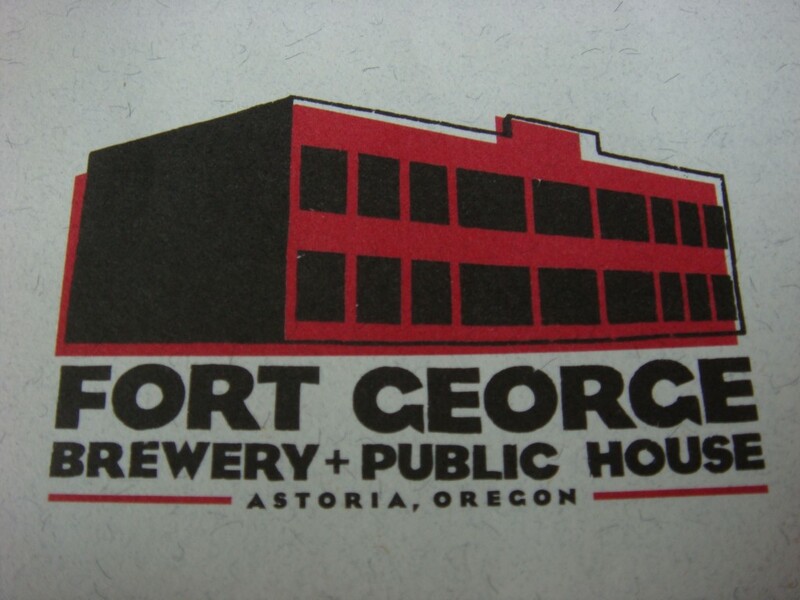 Note: In the interest of full disclosure, Michael and I visited Fort George Brewery and Public House in March 2009. It is entirely possible that certain things have changed. For example, Tuesdays may no longer be chicken strip day. So, you might want to do some research ahead of time. I can safely guarantee that the beer is still noteworthy. And, if they have chicken strips on the menu. You should get them. Seriously, they are a cut above the rest.